Mathus Academy conducts two tests during the month of March every year - MathGenius Critical Thinking National Contest (MG for short) for 1st - 8th grade children and MathCore Common Core Prep Test (MC for short) for 3rd - 8th grade children. MG, as the name suggests, will have Critical Thinking questions that focus on problem solving. It is a National Contest with cash prizes and medals and certificates for the top rankers. MC is purely a prep test for the standardized school tests. It is not contest. Grades will be provided, but there won't be any ranking as the goal of MC is purely preparation for standardized school tests). Click on the 'register for annual tests' link on www.mathusacademy.com (or select login for tests from main menu). If this is your child’s first time with Mathus Tests, please create a free account on the next page and login to the account. If your child has taken test last year, please login with the username and password you created (if your child has registered earlier than last year, but not last year, please create a new account as we moved to a new system last year). Each child needs a different account. The account is unique to a student. Please make sure your child’s name is entered in ‘name’ and not the parent’s name. There is a separate field for parent’s name. If you have registered last year, and you notice is that your or your spouse’s name is there in place of name, please click on ‘profile’ under the name on right top and update the name. After logging in, you will see the two tests - MathGenius Critical Thinking Contest and MathCore Common Core Prep Test. 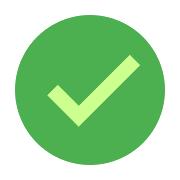 Please select the respective grade test from the dropdown, checkmark ResponseSheet for each test, read and checkmark terms and conditions, and click register. If there is fee to be paid (please see next question for fees), you will be directed to PayPal. After the payment is completed, registration will be confirmed. You will also receive an email confirming the registration. Your child is all set! Please have your child login any time between March 22 and March 29 and take the tests.If you would like to register additional children, please create a separate account for them and repeat the process. MathCore Common Core Prep Test fee s $10. MathGenius Critical Thinking National Contest fee is $30 per child. ResponseSheet fee will continue to be $10. Additionally, Top 10 ranked children will also be given certificates of achievement. MathCore is purely a prep test for school standardized tests. No ranks will be provided for MathCore, but grades will be provided. If signed up for ResponseSheet, your child will also get access to all questions, answer choices, your child’s response to the questions and the step-by-step solutions. For MathGenius ranking, tie-breaks will be broken by time taken for the test. If there is a tie on the time taken, tie will be broken by the score of the last 5 questions. Honor code is where each child and each parent pledges to make sure that the child takes highest standards of test taking and will follow all rules. Our tests are self-administered and the child should only use her/his knowledge, skills and a scratch paper to take the test. No external material, parent/sibling or others help should be taken during the test. Calculators are not permitted during the test. Further, as tests are administered over a week, questions should not be written or screenshots taken or discussed with anyone. MathGenius Contest will have 20 Critical Thinking Math multiple-choice questions. MathCore Prep Test will have 35 grade-level Math multiple-choice questions. All questions carry equal points. To get sample MathGenius Contest papers, please visit www.mathusacademy.com and from the menu on top right, please click ‘MathGenius 2018 Contest Booklets’. We have ongoing MathGenius online classes that will help prepare for children for MathGenius contests as well as other Math competitions such as Math Kangaroo, NSF Math Bee, AMC 8/10, Mathcounts. MathCore does not require separate preparation, but our MathGenius classes help strengthen school Math and MathCore as well although we do not directly cover school Math. Your child may take the test any time between March 22 to March 29. Each test is for 1 hour and the system will automatically time the test. If the test is not submitted in 1 hr, the system will auto-submit it. Please make sure that the computer is plugged into power and there is a good internet before starting the test. Please also make sure there is distraction-free environment. Please keep a paper and pencil next to the computer so your child can do any scratchwork. All questions are multiple-choice. Your child may do the work on a scratch sheet, and just select the correct answer among the choices listed. No. Calculators are not allowed in both tests. Scores will be available by April 15 after logging into the test website. We will update our blog www.mathusacademy.com/blog when the scores are available. At that time, please login back to the test site by clicking ‘login (for tests)’ from main menu of the website, same way you would login for taking the test. After logging in, please click on the little avatar on top right next to your child’s name. Click on grade and you will find your child’s grade. ResponseSheet provides questions, answer choices, your child’s response and step-by-step solutions for all questions. Since we started the annual tests in 2012, this was the most frequent request by parents. Since last year, we started providing the optional ResponseSheets and the feedback is unanimously positive. If your child is signed up to the ResponseSheets of either or both tests, you will be able to access them at www.mathusacademy.com/responsesheet on or after April 15 by logging in. Login credentials for ResponseSheets is same as your main login for the tests. We will post an update on our blog www.mathusacademy.com/blog when the ResponseSheets are available.